Upland Ways was created by two brothers that love to be afield with bird dogs, rods and classic American smooth-bores. 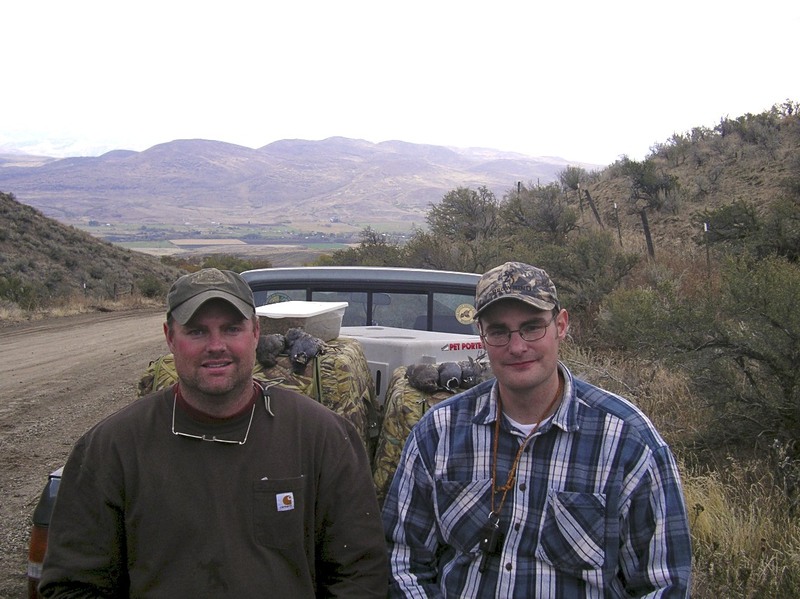 Andy and Shawn Wayment enjoy sharing their adventures in the uplands and hope you enjoy them too! Shawn, I saw a review of my book (Wingbeats and Heartbeats) on Amazon, by birddogdoc…figured it must be you. Thanks much. By the way, I do love English setters…I’ve written a couple of fiction pieces for Sporting Classics that feature them. But I got stuck on Brittanys a long time ago–I blame Charley Waterman for that. I enjoy Upland Ways very much…you guys keep up the great work! Hopefully I am moving out to Colorado Springs for work. I am looking forward to get on some quail. That is what I loved to hunt back in AZ. Love the website. Maybe I’ll see you afield someday. Cheer. Lindsey thanks for your note. We will cerntainly check your blog out! Great blog! Ive been exploring eastern Colorado this fall, Ive found a few pheasant but quail is what I am after! Born and raised in the south east chasing bob whites now in Colorado with my 11 year old lab and now looking for bobs and scaled quail out here. If I may I will ask you to recommend a few public areas where I have a reasonable chance of finding a covey or two with an old dog! It would be greatly appreciated, not spoken of and not shot out! Id like to see my old girl find a wild western covey while she stills has the legs to do so! Once again great content, beautiful dogs and stately guns! Thanks for your note. Best advice is think habitat and grasslands in the SE corner of Colorado and across the border in Kansas. Good luck and enjoy the West! Truly love reading your work on this site, it’s a beautiful layout and the posts are always informational. I was hoping to come into contact with you to ask a question, but I couldn’t find an e-mail! Would love to know what the best way to contact you is 🙂 Thanks for the help! Just listened to your Orvis Podcast – very much enjoyed it – I’m 71 moved out west in l970 but ruffed grouse was the bird of my youth growing up in the Northeast. I have French Brittanies as well and love the breed – Hunting chukars I found a little creek with lot’s of hawthorn and Pepper went on point and Hannah backed – Everything told me it was grouse, so much like when I was a kid – 2 ruffs flushed and I whiffed big time as they put trees between me and them – they started out low to the ground and then jumped up high to put trees between us – My experience is similar to yours that they learn and get tougher as the season goes on – If you are ever in Boise, give me a call and I’ll buy you a cup of coffee or a beer and we can tell tales about ruffs.